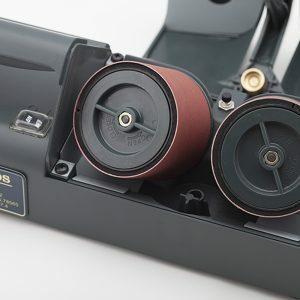 Fine, medium and coarse belts are also available on wheels. 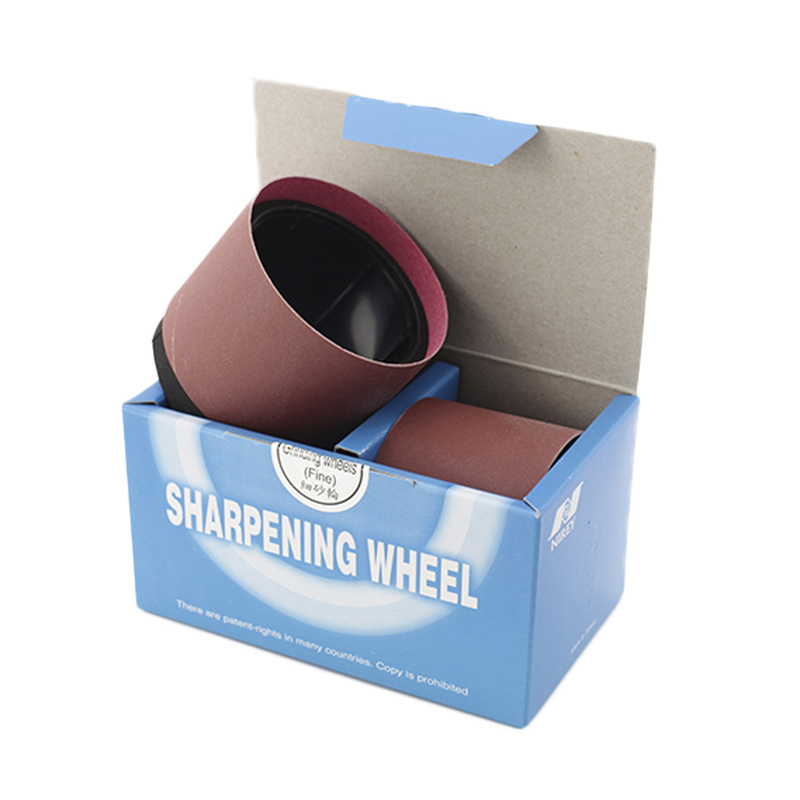 If you are sharpening a number of different knives and require different grades to achieve sharpness; instead of teasing off each belt which can be a little fiddly, change the wheels for quick and easy change over. The wheels are covered with a patented foam cushion to give you a polished edge finish.